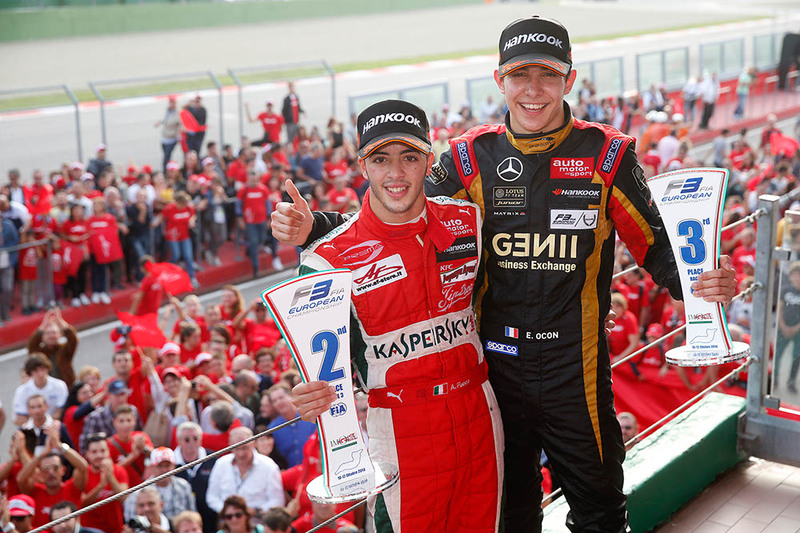 Prema Powerteam enjoyed success in F3 with Antonio Fuoco (left) and Esteban Ocon (right) this year. © FIA F3 Media Services. Leading European Formula 3 and Formula 4 team Prema Powerteam have revealed a plan to refocus their operation ahead of the 2015 season. The Italian squad, who took both the European F3 and Italian F4 titles with Esteban Ocon and Lance Stroll respectively, have decided to stay in those categories, but are withdrawing for Formula Renault Eurocup and Alps. Prema Powerteam have a rich history in Formula Renault, having helped the likes of Formula One racer Kamui Kobayashi, IndyCar’s Ryan Briscoe and current European F3 racer Antonio Fuoco to titles respectively. As the De facto Ferrari junior team, it appears the team has realigned their efforts to focus upon the FIA ladder. Meanwhile Fuoco is likely to spend a second season in European F3 with Prema and is set to be joined by Lance Stroll, with Brandon Maïsano and Jake Dennis also in the runner for the other two seats. The team also competes in the Italian F4 Winter Trophy at Adria. 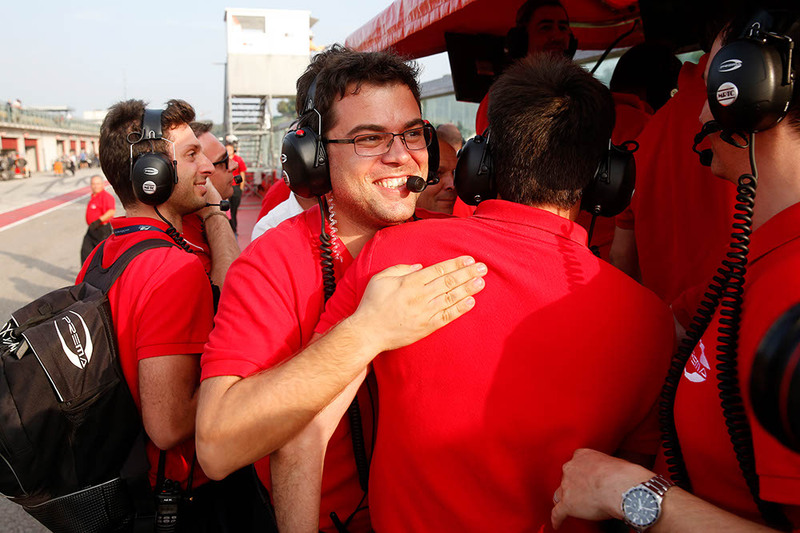 René Rosin has led Prema Powerteam to much success in European F3. © FIA F3 Media Services.